A national committee selects the recipients from a pool submitted by district educational officers. Each winner receives a plaque honoring the achievement, a four-year USPS-certified instructor card and a gold Chapman Award lapel pin. The winners’ squadrons receive their choice of award. Let’s take a look at what makes these dedicated volunteer educators stand out among their peers as we honor their contributions to United States Power Squadrons and boating education. Frank Kemp retired as chief information officer for the American Institute of Public Accountants. A believer in giving back to his community, Frank serves on the Darien Harbor Commission, as a town meeting representative and on the board of Darien Arts. For the past 20 years, he has organized a yearly summer boat camp for underserved teens. He also organized nearby squadrons into a consortium to pool their resources. “Frank’s willingness and zeal to help all squadrons, not just his own, are well known throughout our region,” said Past District Commander Susan Ryan. On the water, Frank spent many hours taking his catboat Lovinde up the Long Island Sound to Block Island and the Vineyard. 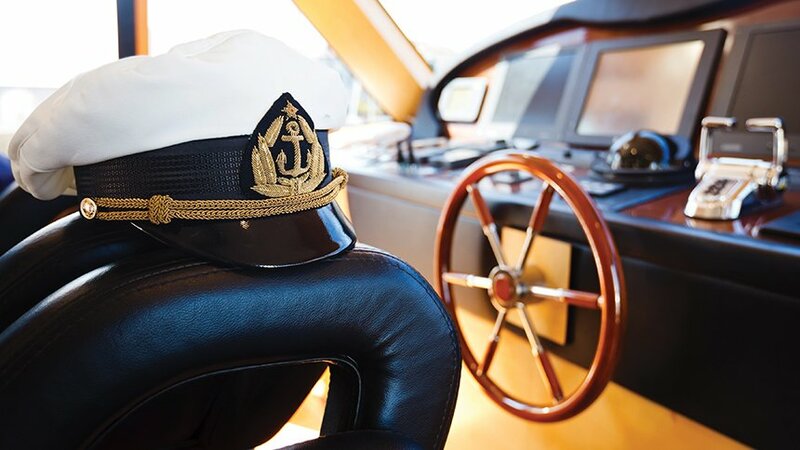 He has circumnavigated the island and participated in several classic boat regattas. A passionate instructor, Frank has taught basic boating to nearly 3,300 students since 1987. He has inspired many students to join the squadron, teach and move into squadron leadership positions after taking his classes. “Frank would suggest that not only should you join the squadron, but you should consider both teaching and becoming a member of the squadron’s bridge,” said Peter Adler, who took Frank’s basic boating class in 2002. To prepare students for boating on the sound, Frank gave them plotting tools and waterproof charts of Eastern Long Island Sound. He taught students how to plot courses and navigate their local waters and gave them the tools they needed to do so. Frank said the act of teaching brings him pleasure. He loves the aha moments students get when a subject becomes clear to them. Frank said he has fun preparing for each class, making sure his stories reinforce the lesson. Vic Stewart retired as a certified nuclear instructor and licensed senior reactor operator with Carolina Power & Light. He served in the U.S. Navy for 9 years and was chief reactor auxiliary operator aboard the USS Enterprise. In a small squadron of 75 members like Fort Myers, educators such as Vic, who can teach almost every course and loves to share his vast store of boating knowledge, are invaluable. “Vic Stewart … made us feel so welcomed during our ABC course, and his kindness, intelligence and generosity in sharing his incredible knowledge of all things boating convinced us that becoming members was essential to our boating lives,” wrote Fort Myers Commander Bob Moro. 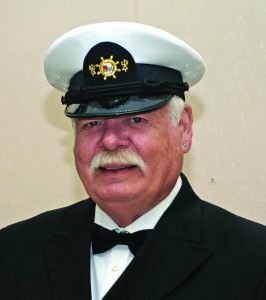 He has convinced a great many members to continue their boating education, but his dedication to education extends outside his squadron. Because of Vic, every single member of Sea Scout Ship 263 has taken ABC and most have taken Seamanship. “The kids love him, and his joy in reaching out to them is quite apparent,” Commander Moro said. Vic also reached out to a nearby large private boating organization and now teaches a Partner in Command class for their members. As an instructor, Vic likes to use humor and isn’t afraid to get physical to keep students engaged. While discussing channel markers in the Okeechobee Waterway, Vic wore one red and one green sock and acted as the boat in the channel to illustrate his point. Larry Byrd continues to work at his company Viking Inc. in Myrtle Beach, South Carolina. 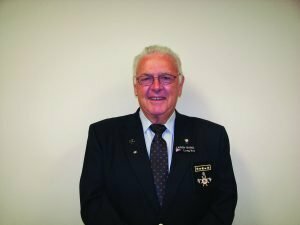 In addition to his squadron educational duties, Larry helps with member recruitment, teaches Operations Training, organizes fundraisers and serves as webmaster for the newsletter. Larry has logged more than 40,000 miles on the water in his 45 years of boating. An experienced boater, Larry makes it his mission to make sure newcomers to the squadron get the education and training to build their confidence. When Nicholas and Mary Gilliam bought their first boat, they contacted the squadron, and Larry reached out to them. 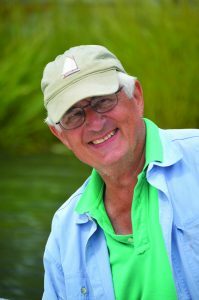 “Even though we had not yet joined, Larry came to our home, helped us launch our boat in the river and gave us about two hours of boating instruction on Black River,” wrote Nicholas Gilliam. Other students said they took classes because they knew Larry would be teaching. “Larry has a way of making every person feel relaxed and comfortable …. He is always willing to take the time and make sure you understand every aspect of boating,” said former student David DuBarr. Larry credits his own USPS education for giving him the skill and confidence to cruise and said he teaches to give back. He often takes students and nonmembers out on the water to increase their skill and confidence. His reward is seeing the satisfaction on boaters’ faces when they dock successfully.